"You're never ready, you just run out of time." With the Autodesk Manufacturing Academy looming close, these weeks blog is going to be quick and simple. 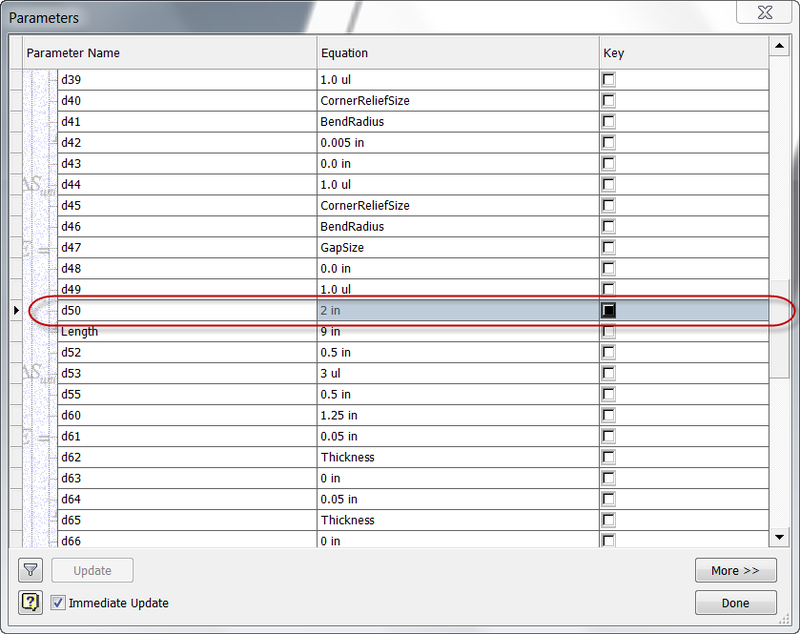 Many of us know that you can (and in some cases should), rename parameters inside of Autodesk Inventor. This makes the parameters easy to call back at a later time. For example, it's much easier ot find a parameter named 'Length' opposed to trying to remember what parameter 'd89' represents. Typically, you rename your parameters in the parameter screen of Inventor. 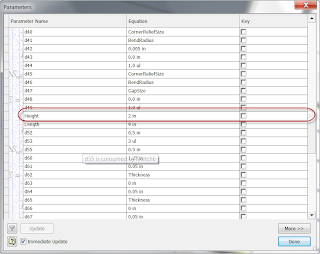 But there is a quick way to rename them as your typing the parameter. 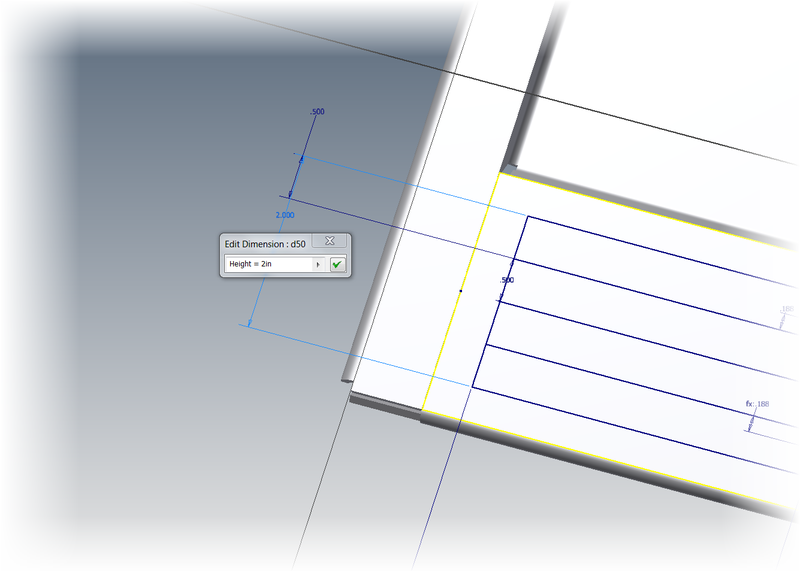 Just type "parameter = dx' when creating a dimension, and the parameter will rename at the time you're placing the dimension. 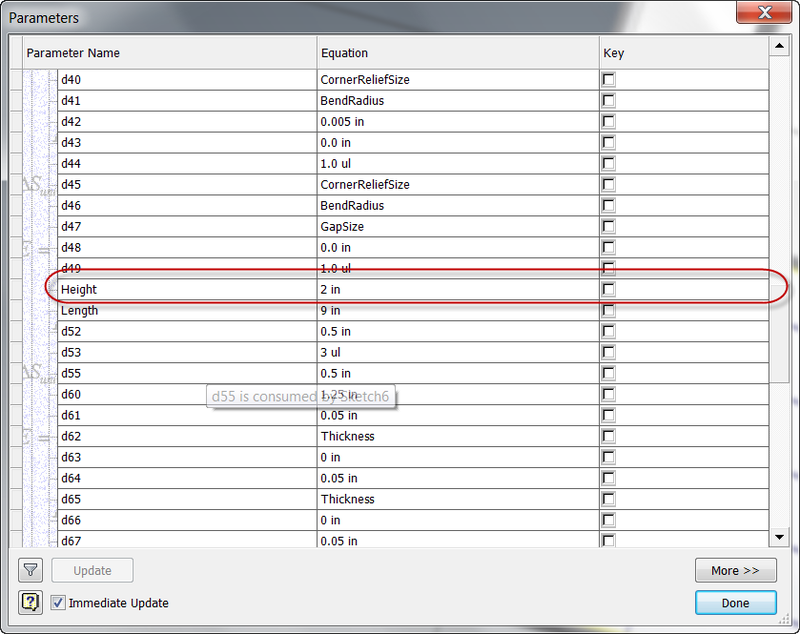 This renames the parameter all at once! You don't need to go and open the parameters screen! That's it! A simple tip, but one I think is helpful! More to come when AMA is done! Also a good tip, if you type in a parameter name in a dialog box it does the same thing as when typed in a sketched dimension. I can't tell you how much I love this ease of use of parametrics over the last couple releases. Thanks for the tip, Mark. It is pretty cool what they've done with parameters lately, isn't it! thanks so much for the awesome tip. Hey can anyone answer this question (or relate to another source). Renaming paramaters is very limiting in that spaces, dashes, etc are not allowed. So naming a parameter "Cross Tube-OD" has to become "CrossTubeOD" which is more likely to be confusing. Spaces are considered "special characters", which aren't allowed. However, you could use; "Cross_tube_OD"
That should get you where you need to be, without cramming the words together! My memory get's fuzzy going back that many versions, but I'm pretty sure it worked back then too. The only thing I can think of is make sure you're up to date on your hotfixes,service packs, etc. If you're on Vista or Win 7 that could explain it (R10 was never tested on those OS's). At least try turning off User Account Control. That causes all sorts of problems!